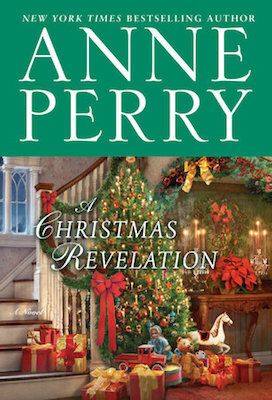 The following is an exclusive excerpt from A Christmas Revelation, by Anne Perry, a traditional Christmas mystery with all the Victorian trimmings. In the following passage, a young orphan boy tries to track down a woman who may or may not have been abducted in the street. Worm slept soundly that night, but he woke early in the morning thinking again of the lady he’d seen yesterday in the street. She had been frightened when she went with the two men. It was in her face and the way she pulled back from them, even though her feet went forward. He should have done something. He lay on his back in the dark, with the blanket pulled up to his chin, and thought about it. Finally he got up and found his clothes in the dark, put them on, and opened the door to let the light in from the passage. He had a lot of walking to do today. He put his boots on and tied them up, then crept out, closing the bedroom door behind him. He shouldn’t think about it or he might get scared and stay in the warm. Downstairs in the kitchen, the big clock said five something. Nearly six. Everybody would think he had slept late. He had time to get a piece of bread from the larder and a little bit of meat dripping to go with it. It tasted salty and meaty and buttery, all at the same time. He finished it and went toward the back door. His boots sounded as loud on the floor to him as a horse’s hoofs, but that was just because he was doing something Claudine might disapprove of. Actually, everybody would disapprove of it! He had unlatched the back door and had his fingers on the handle to open it when he felt a hand on his shoulder. It scared him so badly he shouted aloud. He had heard nothing, nothing at all! “And where do you think you are going?” Squeaky asked softly in his ear. It took Worm several seconds to get his breath, never mind his voice back. “Well?” Squeaky insisted. “Back to bed—with your boots on?” Now there was sarcasm in his voice. Worm slept soundly that night, but he woke early in the morning thinking again of the lady he’d seen yesterday in the street. She had been frightened when she went with the two men. Squeaky was silent for so long, Worm thought he might have got the time wrong. But he was sure the little hand was the hours and the long one the minutes. Worm looked away from him, afraid he might change his mind. He opened the door. It was stiff, and in his impatience Squeaky yanked it from him and swung it wide. The outside air was freezing cold, and there was a rime of ice on the steps. It would be slippery. They went out together, closing the door silently behind them, and set out down Portpool Lane, then turned east into the wind off the river. “I suppose you know where you’re going?” Squeaky asked. Worm had no idea what finagling was, but clearly it was not good, from Squeaky’s tone. There was not time to argue or say it was unfair to use words nobody understood. “How are we going?” Worm asked, with as much innocence as he could manage. He was quite good at that. “Miss Claudine is going to make the cake,” Worm pointed out, running a step or two to keep up. “Out of flour and eggs—lots of eggs—and butter, and currants and raisins and sultanas, and spices, and all sorts of things. They don’t grow in cupboards, you know!” Worm ran another couple of steps. “You don’t have to come with me. I can find my own way.” It was hard to say that. He needed Squeaky—he knew that now—not only to get there but to help the lady if she was in trouble. He was not a bit frightened when he thought about it. Well, a little bit. He could feel his throat go tight. Worm did not answer, but he kept silent as ordered, and Squeaky actually did slow up some. The sky was beginning to get a little paler in the east, as if they were always traveling toward the light. Worm was happy not to talk for a little while. It was nice not to be alone, and even if Squeaky was cross at coming with him, that was nothing unusual. Squeaky was always cross if he was taken away from his papers and his figures. He would complain he was interrupted, but he still took every opportunity to stop—like when you have something nice to eat and you don’t want it to be over. He was very clever with figures. He could add up or subtract anything, and quickly, even in his head. 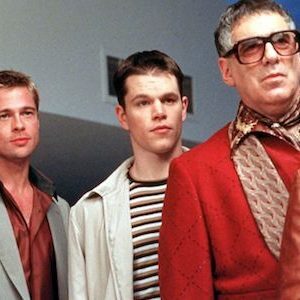 He knew what the numbers ought to be, and he knew if they were wrong, the way some women could tell a lie just from your face. Worm could not always tell a lie from the truth, but he pretty well could say if a person was happy or miserable, whatever they pretended. Worm could not always tell a lie from the truth, but he pretty well could say if a person was happy or miserable, whatever they pretended. Like now—Squeaky was pretending to be really annoyed. But he was walking quickly and lightly and humming a little tune to himself. He even snatched Worm’s hand when they crossed a busy road, then let it go again instantly, as if he wished he hadn’t. Worm didn’t mind. He didn’t want to get lost; he had no intention of slipping away. It was almost like they belonged. He was pleased now that Squeaky had found him in the kitchen. It seemed as if the whole city was waking up. It was getting lighter all the time. They passed several groups of workmen calling out to each other. There were lots of carts of vegetables in the road. They came out of Gray’s Inn Road at High Holborn, a really big street going east and west. Squeaky bought them a cup of tea each from a woman with a stand. For once, he didn’t argue the price. It was a bit too strong and not terribly nice, but Worm enjoyed it. He stood on the icy pavement beside Squeaky and sipped from the cup. He could feel the tea trickle down his throat, its heat spreading out through him. He wasn’t even hungry. Well, not very. He had missed Claudine’s breakfast of hot porridge, and that was a pity, but this was a duty that could not be shirked. The woman with the light in her hair might need their help, and there was Christmas to go back to. After the tea, they caught an omnibus all the way to Cheapside, and then another one toward the Tower of London. Squeaky told him that was where they put traitors, even royal ones. That’s where they had chopped off the head of Queen Elizabeth’s mother, Anne Boleyn, among others. Squeaky was full of stories. You could tell from his face when he was enjoying telling one. The lines curved upward. But that didn’t necessarily mean the story was true. He enjoyed the invented ones just as much. Worm knew he would have to play along, but most of the time he didn’t have to pretend: he loved stories. They were well into Limehouse by the time they got off the last omnibus and stood on the narrow pavement, watching the horses pull away. Worm did not reply, but increased his pace as he recognized the corner of the street they were on. He looked both ways, let a wagonload of wood go past, then darted across to the farthest corner. He heard Squeaky shouting behind him and slowed up a little. This was one of the corners he had passed yesterday. But from which way had he come? Only then would he be certain, or almost certain, which way he had gone. He turned around slowly and came face-to-face with Squeaky. “I don’t know!” he said, for a moment afraid they were going to give up. A wave of relief engulfed Worm. Squeaky wasn’t going to try and make him give up. Worm wanted to thank him, but he was afraid to say anything at all and perhaps make Squeaky reconsider. He set off along the pavement to the right, looking at every shop. He might remember something in a window, except that he had been watching the lady and the two men who walked on either side of her, holding her savagely. He had to look down at where he was going. The pavement was pretty rough, narrow in places, and there were broken stones. Perhaps he would remember some of those? It was almost daylight now and shadows were exaggerating everything. Nothing seemed familiar. “I think it was the other way,” he said at last, stopping outside a barbershop. It had a red and white pole, which was bent where somebody had hit it. He would remember seeing that before. Squeaky went back without comment. The woman and the two men had disappeared somewhere along this street, except it had looked cleaner yesterday. They walked for nearly half an hour before Worm finally knew they were at the right place. The woman and the two men had disappeared somewhere along this street, except it had looked cleaner yesterday. Worm stood on the pavement staring at the buildings all around him. They were gray, ordinary, their tired-looking roof slates crooked. They were all about three or four stories high with narrow windows, some of them broken and boarded up. Here and there the guttering had come loose from the walls. Water would be dripping, if it were not frozen. But a glance at the stained walls told him where it had run down over the years. It was too early in the day for many of the chimneys to be showing smoke, but it would come. There would be thick gray plumes of it from those lucky enough to afford fires. Worm felt Squeaky’s hand on his shoulder, surprisingly gentle. Worm waited a moment. “No,” he admitted. He looked at Squeaky, afraid to ask but willing him to try each of them. It might be only this once, all future favors rolled into one, but Squeaky nodded. “We’d better try them all,” he conceded. “Come on! Don’t stand there!” Squeaky turned and walked smartly to the first door, leaving Worm behind. An unreadable expression crossed Squeaky’s face. Worm did not know whether it was annoyance, impatience, or pity. “Pretty much, but I mind me own business,” the woman replied. From the book A CHRISTMAS REVELATION by Anne Perry. Copyright © 2018 by Anne Perry. Published by Ballantine Books, an imprint of Random House, a division of Penguin Random House LLC. All Rights Reserved.